Cable TV provider Comcast has jumped into the streaming movies and TV show game, announcing plans to take on current streaming leader Netflix. The new service called Xfinity Streampix will only be available to Comcast customers for $5 a month while higher end package users will receive the service for free. While $5 is cheaper then Netflix’ $7.99 per month plan that service doesn’t require over-priced Comcast cable TV service. Included in the new Comcast program are such programs as 30 Rock, Grey’s Anatomy, Ocean’s 11, Brokeback Mountain. In a retaliation of sorts Netflix on Tuesday announced a new deal that secures the company rights to stream Weinstein Co. movies over the next several years. 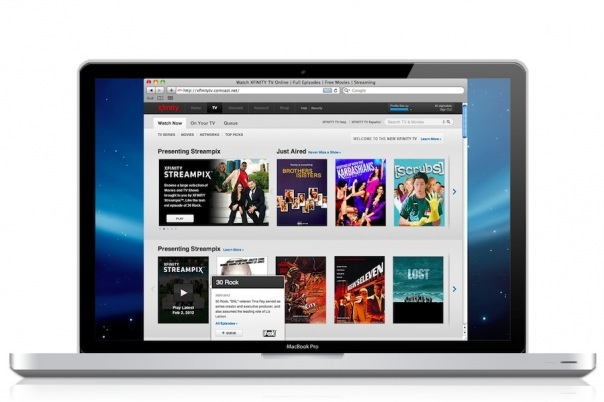 Would you jump from Netflix to Comcast Xfinity Streampix once the program fully launches?